Garlic is an important herb praised by herbalists and natural therapists all across the world, garlic is among a few items that people used in older times and are still relevant due to their medicinal use. Although garlic has a wide range of medicinal uses, however we are talking here about the use of garlic for breast feeding mothers. According to many Herbalists, garlic serves the purpose of a supplementary diet for the mothers during their breast feeding days. Garlic contains pervasive aroma, which extends the breast-feeding time of a baby and ensures added nourishment supply for them according to the research. Garlic has a variety of beneficial medicinal properties such as anti-oxidant, anti-fungal and antibiotic, which helps a breast-feeding mother in countering fungal infections like thrush and mastitis. Several researches has revealed that mothers who takes garlic 1-2 hours prior to breast feeding can feed their babies for long time against those who are doing regular breast-feeding to their kids. Long duration nursing ensures constant and enough milk flow in nursing mothers’ breasts so the baby can have sufficient amount of nourishment and full satisfaction. Garlic has pungent flavor that provokes a baby to respond and ingest milk from her mother. Babies are highly susceptible to fungal infections and therefore may catch thrush, a yeast infection. You can identify whether your baby is having thrush or not by symptoms like white patches on your baby’s tongue, irritation due to sore throat and pink rashes on baby’s back. A baby if affected by thrush start showing less interest in breast feeding and even pulls herself out. Breastfeeding mothers are also sensitive towards a type of yeast infection known as Candida and which causes rashes on baby’s skin as well. Garlic has natural anti-fungal capability and may easily counter infections like Candida or thrush and prevent both mother and baby during breast-feeding. Mastitis is a serious concern for nursing mothers because it blocks the duct openings of breast-feeding mothers and causes a decrease in their milk. 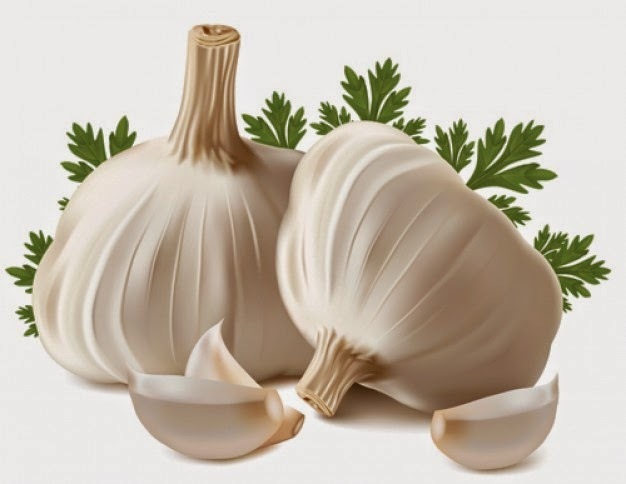 Various medicinal capabilities of garlic including antibacterial, antibiotic and anti-fungal actions plays an important role in keeping a mother away from mastitis so she can provide enough nourishment to her baby. Please seek the help of your doctor in case if any symptoms of mastitis appear on your body.